Save time finding the property you want, TELL US what you want - we will find it for you! 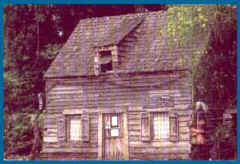 "FREE, CUSTOMIZED ~ PROPERTY SEARCH" Our real estate professionals can show you "ALL" properties! A visitor and new residents guide to St. Augustine Florida real estate, single family homes, condos, oceanfront, waterfront, golf, gated communities and commercial real estate throughout the St Augustine area. Our associates can show you any property on the market in the St. Augustine Florida, St. Augustine Beach, Vilano Beach, Ponte Vedra Beach, Ponte Vedra, World Golf Village, Nocatee and Crescent Beach Florida. We have single family homes, condos, oceanfront, waterfront, Intracoastal, riverfront, lake, golf, gated communities and commercial real estate throughout the St. Augustine area. staugustine staugustinerealestate realestate! Our associates can show you any property in the area! ASK ABOUT our CONDO and PROPERTY PURCHASE PROGRAM, where you buy now, use it as you like, rent it out when you are not using it. Let it "HELP" pay for itself! St. Augustine Florida, the nations oldest city is also the oldest, continuously occupied, European settlement in the New World. Over 400 years of history and 40 miles of beautiful beaches, this is a great place. St. Augustine is located in St. Johns County and offers the best of all worlds: sun, surf and plenty of tennis and golf. From fine dining to combing the beach for shells and fossilized shark teeth, watching the sunrise over the Atlantic surf, to gazing at the sunset over the winding Intracoastal waterway, one can easily find an enjoyable way to spend a weekend or an entire season. We can assist you with local information on: temporary lodging, military, school and employment information. If we don't have it listed tell us what you need we get that information for you! Save time finding the property you want, TELL US what you want and we will find it for you! WANT TO buy property in this area "FREE, CUSTOMIZED ~ PROPERTY SEARCH"
Our real estate professionals can show you "ANT" home on the market today! and Crescent Beach Florida real estate, A visitors and new residents guide to real estate in the St Augustine area!